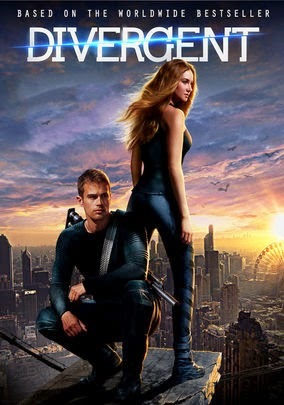 When I first heard about Divergent, I though the first Hunger Games rip off was upon us, and besides that the whole story seemed somewhat confusing. It is Science Fiction and Directed by Neil Berger, the mind behind Limitless, so I decided to give it a shot, and it was the best idea I had in a long time. In a post war America, the city of Chicago is fenced off from the rest of the world, and has split into five factions of people. At the age of 18, all citizens must take an aptitude test, to determine where they belong. Beatrice (Shailene Woodley) is one of the girls taking the test as the movie starts, and her results show that she has an aptitude for all five factions, making her Divergent. Divergent's are highly intelligent, rebellious, and seen as a threat to the Government, so she hides her results and joins Dauntless, the equivalent of the National Guard in Chicago. During her rough training, the now renamed Trice, meets up with Four (Theo James) who she has an instant connection to, but who is also a threat to her secret identity. One thing that was never explained is why these people have to take the aptitude test, if they are allowed to join whichever faction they choose. It's a major plot hole and the only reason this film didn't receive 5 stars, as I really hate plot holes. Shailene Woodley stars as Trice, making the jump from TV to film, and she has done it with a bang. In much the same way Jennifer Lawrence was the perfect choice to play Katniss, Woodley was perfect for the role of Trice, and brought so much more to the film than I ever thought she would. Theo James is also terrific as Four, the mysterious trainer and love interest of Trice, and together the team is the perfect pair. Divergent is highly original, really well written, and introduced Hollywood to a whole slew of new stars, not to mention it's Director, Neil Burger, is on one hell of a successful run of films. Divergent has everything I look for in a film and in my favorite genre, and for that it is now one of our must see movies!